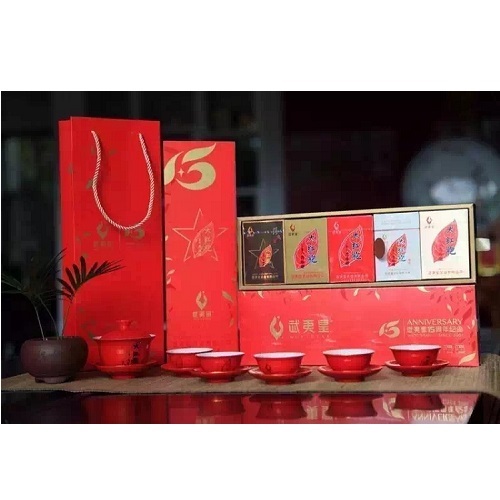 It is said that Chairman Mao Zedong gave United States President Richard Nixon a gift of 4 taels of Da Hong Pao Tea (equivalent to 200g) during his visit to China. However, the amount was so small that President Nixon alluded to Mao’s stinginess to Premier Zhou Enlai. Premier Zhou laughed and replied, “Chairman actually gave half of his Chinese Empire.” He then explained, “Da Hong Pao is a precious tea and this amount constituted half of this year’s harvest, so it’s incredibly valuable.” President Nixon listened in awed silence. 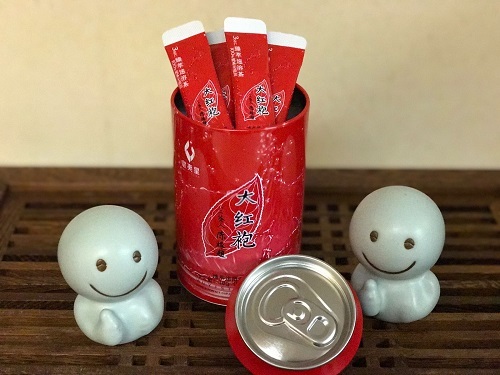 The story goes that during the Ming Dynasty, a young scholar was on his way to Beijing for the imperial civil service examinations but had stomach cramps with bloating near Tian Xin Temple of Wuyi Mountains. At the temple, he met a monk who treated him with the Da Hong Pao Tea grown from the Jiu Long Cave. After drinking the tea, the scholar immediately felt refreshed, less bloated and more agile, so the monk offered a small packet of the tea for him to continue his journey. Cured by the tea, the scholar went to the examination and won first place. Thereafter, the empress had stomach cramps with bloating but the doctors could not cure her. The scholar immediately brewed his tea to the empress who felt better after drinking. Learning this, the emperor was extremely grateful and awarded a red robe to the monk and sent the scholar to present the robe on his behalf. Returning to the Wuyi Mountains, the scholar thanked the monk who said, “You should thank the Da Hong Pao Tea Tree instead.” The scholar then went to the tree and expressed the emperor’s gratitude by covering it with the new red robe. The tea tree’s body glowed in purplish red, which is most likely the color of the tea tree buds. Since then, the tea has been called Da Hong Pao in Chinese, which literally means “Big Red Robe”. As an organic tea producer, organic certification is important for assuring customers about the organic quality of the tea. To qualify and label the tea as certified organic, inspector of the certified agents is invited to examine all aspects of the organic tea operation, including cultivation, processing and distribution on-site. The examined factors include: ecological environment of the organic tea plant, management of soil fertility and fertilizer, pest and weed control, picking and transporting the fresh tea leaves, processing, packaging, storage, transportation and distribution of the final products for sale. 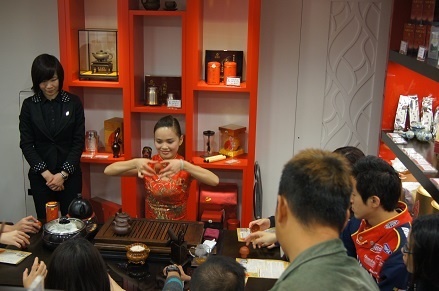 During the visit, the inspector may also collect tea samples for testing when deemed necessary. During organic tea cultivation, ecological environment protection is strictly enforced in which precautions are taken to ensure all tea plants are free from chemicals, such as pesticides and fertilizers. It requires highly experienced and top quality skills to produce teas that are totally natural, healthy, clean, pollution-free and tasty. Here at Wuyistar, we had obtained our organic certification from the world’s most reputable certification agency, International IMO (Institute of Marketecology) of Switzerland. 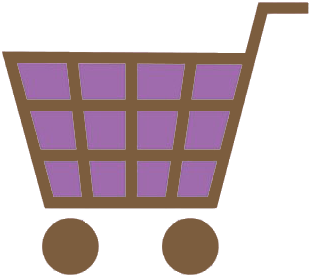 Its organic certification is recognized by many developed countries or local governments, including the European Union, United States and Japan. Other than thirst quenching and mind awakening, drinking Wuyi Rock Tea on a regular basis has a whole range of known health benefits. Its health-giving properties are mostly due to its richness in natural plant compounds: 17% – 26% of polyphenols, which are highest among other teas that normally has 10 – 20% of polyphenols; 1.8 – 2.9% of polysaccharides, which are 3.1 times and 1.7 times more than black and green tea respectively; and 1.1% of theanine. Wuyi Rock Tea possess high contents of 30 different kinds of polyphenols with most having medicinal properties. Among the tea polyphenols, EGCG, a major catechin in tea, is shown to exert greatest health benefits; it is estimated that Wuyi Rock Tea has up to 8.18% of EGCG, which cannot be created synthetically and can only be found mainly in tea plants. Studies have shown that EGCG can help prevent and treat cancer by blocking the formation of nitrosamines and carcinogenic activity up to 98.6%, plus eliminating N-nitroso compounds. Tea polyphenols are also known for their antioxidant property that can neutralize free radicals; the antioxidant activity level is 4.93 times greater than Vitamin C, which makes it a powerful source for anti-aging. Besides, tea polyphenols can boost metabolism of fat and cholesterol, which can in turn decrease blood fat effectively. For tea polysaccharides, it has immunity enhancing, anticoagulant, anti-thrombosis, and other pharmacological effects. For theanine, the most prevalent amino acid found in tea, its health properties include: memory improvement, calming effect, protection of nerve cells and immunity enhancement. 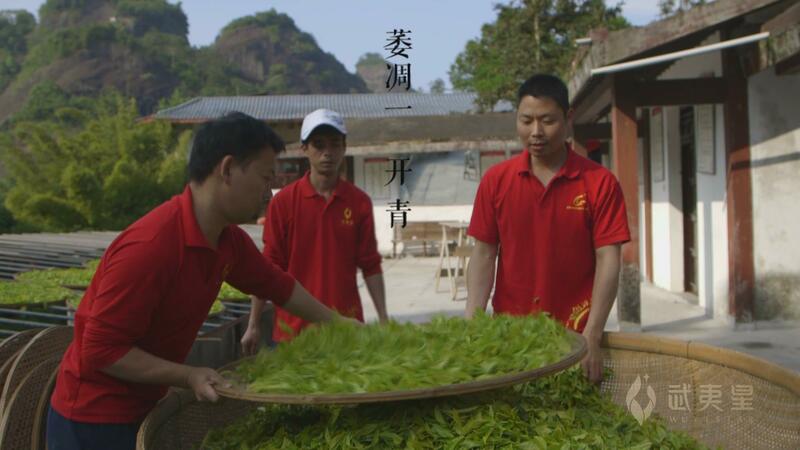 The collection and processing of Wuyi Rock Tea is considered the most complicated, which requires many steps, high-level skills and experience. Its technique is a compromise between green tea and black tea processing which involves: picking, withering, airing, tossing, making the green, killing the green, rolling and drying. Every step interlinks with one another and greatly impacts the tea quality. 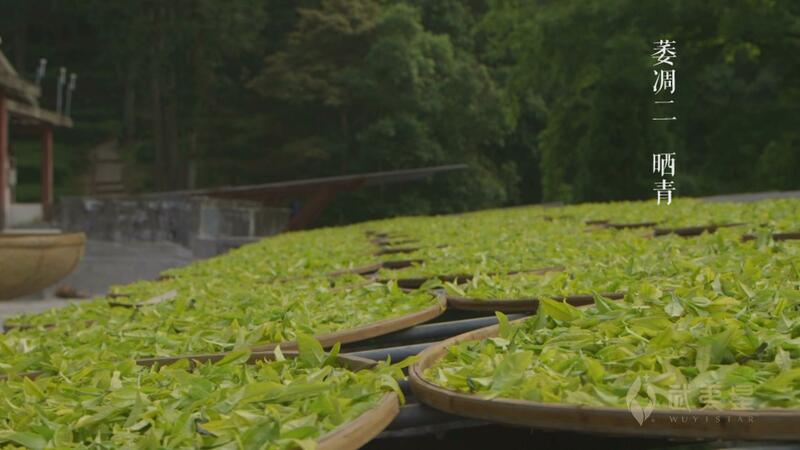 The complexity of the entire process has been subject to a lot of scientific researches, ranging from the climate influence, oolong tea quality, internal property changes and floral tea aroma formation. 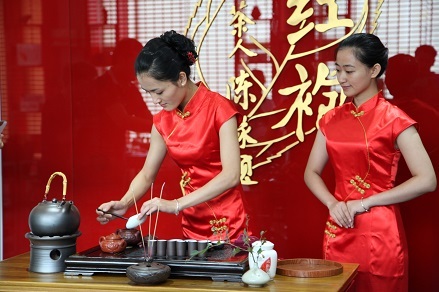 In June 2006, the traditional processing of Da Hong Pao Tea was elected as the first batch of National Intangible Cultural Heritage. 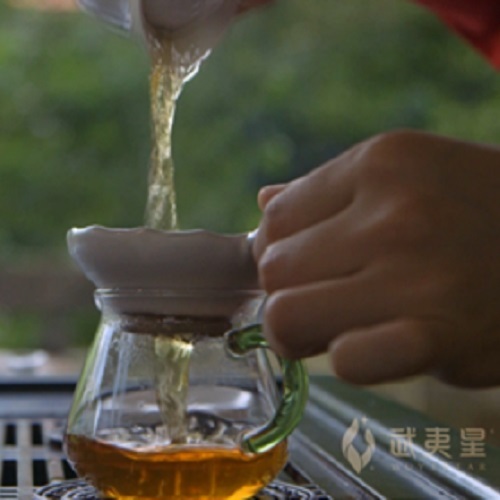 There is no need to keep Wuyi Rock Tea in the fridge due to its unique, high firing temperatures. It can be well preserved naturally for three years by simply kept in a dry and odorless environment with good ventilation. Those who love drinking aged tea can store it longer! 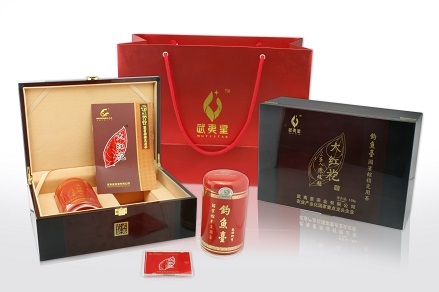 Moreover, the best container for storing Wuyi Rock Tea should be made of tin or iron.